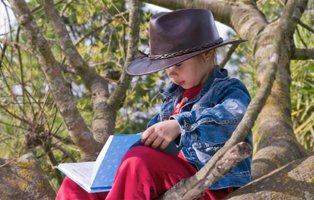 This summer why not set your child a summer reading challenge - think about how much they read now, and how many books they can reasonably get through over the holidays. Don't set the goal too high as it can put them off, but challenge them so that they want to succeed. Here are a few classic books to read by age - remember to read them alongside your child so that they have someone to discuss them with. As they get older and the content of their reading material may well bring up concepts they haven't considered, or topics that raise questions - these are good opportunities to have conversations about morals and values and decision-making without the conversation being directly about their actions. Sometimes the content of books will challenge your own perceptions, and introduce conversations you aren't prepared for - this is part of the wonderment of the literary world so challenge yourself this summer, and see where it leads you.